Last week we saw some leaked photos of the new HTC Butterfly S, the handset has now been announced in Taiwan and we have all the specifications on this new Android smartphone. The HTC Butterfly S will come with a 5 inch full HD display with a resolution of 1920 x 1080 pixels, processing comes in the form of a quad core 1.9GHz Qualcomm Snapdragon 800 processor. 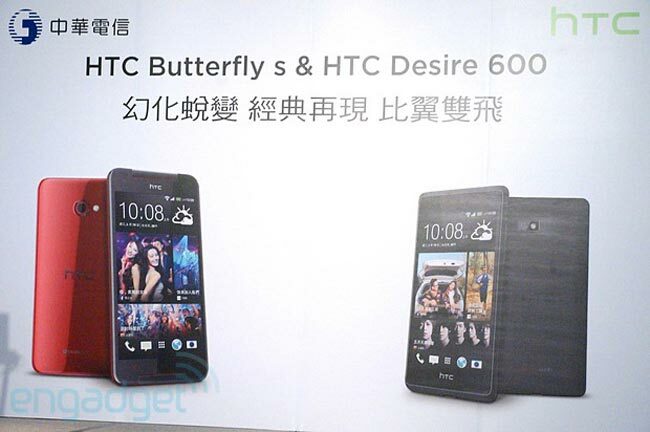 The HTC Butterfly S will go on sale in Taiwan in July it will also launch in Europe later this summer, although we do not have any details on an exact launch date.